Open a dedicated savings account for travel funds. It's sooo much easier to save money for something specific when it has it's own place that you don't touch. It's also best to have this separate account so you can see what's in savings and what's in your travel savings. I've found having this third account extremely helpful and I even have my bank withdraw a set amount from my checking account each month into both savings' accounts. I don't have to think about it and I know there'll be money put into both of my savings accounts. I also try to put any extra cash I have into this account and if I decided against a second Starbucks run that day or ate lunch at home instead of eating out, that money I would of spent goes into my travel savings as well. It's easier said than done but once you start to see the amount of money you begin to save increase, you realize it's working and when you're sitting on the plane on your way to your dream vacay, it's SO worth it. Use a travel credit card. This is my FAVORITE way to get to travel at an affordable price!! Seriously, if you find a credit card that works for you and gives you rewards for spending (AND you can use it responsibly/pay it off as you use it) then it's 150% worth it! I opened my Capital One Venture Card a little over a year ago and the perks have been amazing, the customer service is always top notch and it's overall an amazing card to have. In fact it's one of the only ones I use - and I've gotten a LOT of miles by using it. The way I see it is if you're going to be spending money anyway, why not get something as awesome as travel miles and rewards from it? I always pay my balance after using it to avoid any interest/fees; if I'm going to the mall and I'm spending money anyway, I know it's money I'm willingly spending so I use my Venture Card and then pay it off when I get home the very same day. The APR is pretty reasonable and the first-year perks were originally what got me hooked! So now to the travel part of this card - with every $1 you spend, you get 2 miles. Then every 100 miles equals $1 in the form of a travel reward. So if you make a purchase and spend $200, you get 400 miles and $4 towards your travel rewards. It may not seem like a lot, but it adds up! If you're using your card wisely it's so easy to gain miles and rewards. I could go on and on about this card because I seriously love it and love using it, so if you're on the hunt for a great travel card I couldn't recommend this one enough! Try and spend a little less money every day. Create an old fashioned "travel fund jar" for spare change. This is similar to starting a savings account designated to a fund for traveling but sometimes it's really nice (and rewarding) to see your jar fill up. Just grab a mason jar and stow it away somewhere, and add any spare change whenever you have it. I know it isn't super common to have paper money anymore, but whenever I find myself even with a $5, I put it in my jar. It adds up quicker than you'd think, and it's a nice little surprise to find out how much you've saved up when you go to the bank! Take advantage of rebates and cash back offers. This one is HUGE. There's so many products we buy that have rebates on them and a lot of time they aren't taken advantage of! There's lots of different programs to consider but EBATES has to be my favorite! It's the easiest way to save money year round and it couldn't be more fun to see your cash back balance go up. ;) If you sign up here, we BOTH get an automatic $10! I put most of my cash back into my savings; it's a great way to not feel so guilty about making purchases and save toward a trip. I have a "responsible" savings account and a 'vacation' savings account--I think it definitely helps to separate them, otherwise I feel bad to take money out of my responsible savings for a trip! These are all really great tips! I wouldn't have thought of using a specific credit card, but that is also a great idea! I love this! We are going to visit my great gram this summer and with 7 of us...a travel fund is NEEDED. I am also going to share this with my sisters-they're living abroad next spring! AWESOME tips! We do all of these and it really pays off! We have change jars that all our change goes into. Since we mostly use cash, we end up with A LOT of change. I think last time I counted we had about $600. My husband flies 2-6 times a week, with Southwest, so we got their credit card so we could convert his points to gift cards. They have cruise credits and anything else you can imagine. Down the road, we may use it for travel, but right now we redeem his miles for Walmart and Amazon gift cards and use them to buy our children's Christmas and birthday gifts, or even to buy groceries, since he gets around $5,000 a year that way! Hey girl..excellent post as always! I will sign up to ebates! If I ever get my other cards paid off, I want to open a capital one cared! Hope you are doing well! These are really great tips! 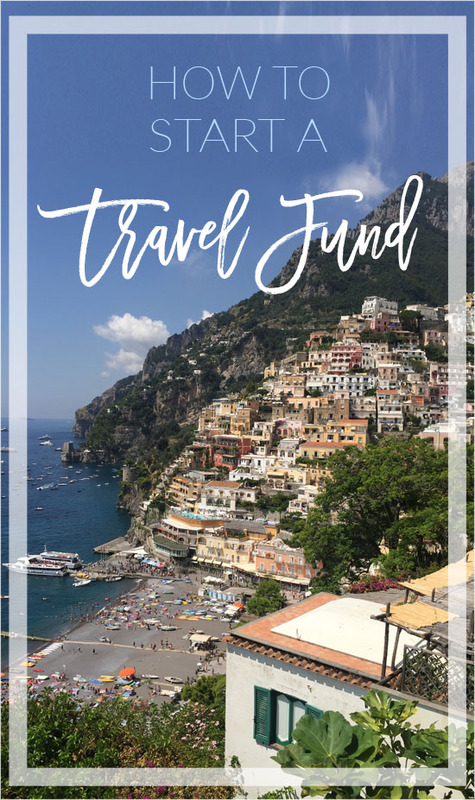 My husband and I want to start traveling more and these will definitely help. It will be tough with two little ones but these are doable! Yes to all! I have a travel fund (not quite as fun as a jar) but it's still good to have! We have the Venture card as well and paid for our flights to San Fran with our points recently and it's been awesome. Loving your tips! The best thing I did was to set up a separate account just for travel. I have the Venture card too and I LOVE it! I've gotten some great perks. Really love these tips! I always have wanderlust, but am super concerned about costs. You've got some great suggestions I might actually consider using. These are such great tips! I really need to get a travel credit card! love the idea of a committed savings account for travel and the travel spare change jar. that change always adds up faster than you thing. thanks for the tips! Great tips! I have an American Express travel card and it is worth it! All great tips! we have a rewards card that helps us travel and love it! Oh man I have been racking up the points on my venture card. I expect by the time I am done getting married I should have a sweet honey moon paid in full! These are such great tips!! I've been dying to travel and need to start saving up! Having a good travel credit card is such a good idea! I have been looking into this and CapitolOne seems like a great option! 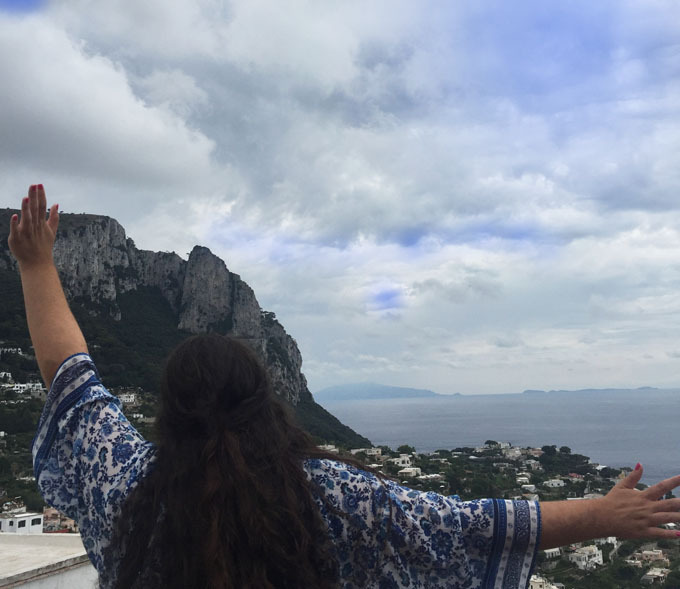 This is SUCH an important post if you have any intention of traveling. 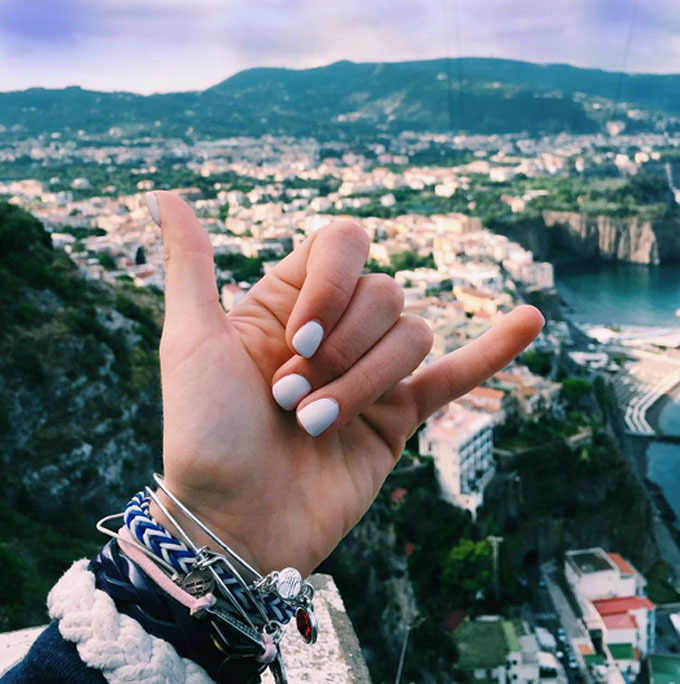 It's not cheap to travel, so you need to save and continue to save to help fund your trips! I swear by my Southwest CC, I love that I can use the mileage so easily! These are all such amazing tips! Traveling more is something I'm trying to do and I have my savings account specifically for that and it helps so much! I need to make a dedicated account for travel! I want to do more travel in the next year or two. Great ideas thank you! These are very helpful tips. I'd like to do this, traveling can get really expensive and it's important that you really save up for it. I have a jar on my desk labeled travel fund and it is full of change! Then we trade it in and add it to our savings. I can only enjoy myself on a trip when I have already reserved money specifically for it. These are great tips! Travel rewards on credit cards are so tempting! I hate opening credit cards though. I like the idea of a designated bank account instead. I should start myself a travel fund! These are some great tips on saving for it. My husband and I are doing this. Next year we are planning on traveling a lot and we put at least $20 a week into our fund. All of these ideas are really doable and a great idea to save money for traveling and doing the things that you love the most. Plus travel is so good for the soul. I love this post. Thank yo for sharing. I love all of these ideas. We plan on getting a rewards credit card soon to help manage our business spending. Might as well earn rewards too. This is so helpful! I've been wanting to travel more, but it can get so expensive. This will definitely help me save! Sometimes, I get anxiety when I think about travel budgets! I’m going to apply these tips immediately! I honestly just get up and go. It's probably smarter to save for it first. It's so smart that you have a 3rd account just for that. One excellent way to start on the path toward vacation freedom is to start a vacation fund and pad it in ways that don’t involve too much sacrifice or discomfort. Travelling is such a great thing ans it gives you the best memories of life. It also gives you the most memorable monments to laugh on. But it's equally important to take care of health during this time. So eat healthy and stay fit all time. Can't sit tight for another blog by this essayist. Flawless and legendary blog, Full of sublime and virtuosic words. A good guide for travelers, Every Traveler should read this helpful information. Thanks for sharing this guide. This is a really a good information who doing travel and they have no money for more travel, Good guide keeps sharing. Good information for travelers, your guide is really very helpful for everyone who love travel. Thanks for sharing.